To be honest, The MKX® Gift Shop has not exactly overtaken Wal-Mart in sheer sales volume yet. However, a big step in the right direction happened this morning when I received an invoice for and order of one of our most popular items: Ugly Nun Thon (pictured below), placed by a Susan from California… whom I’ve never met but is listed in IMDB as an actress (could it be the same Susan?). That’s pretty cool by itself, but there’s more: This order was not for 1, but for 7 (yes, seven) thongs. The mere idea of Susan and six of her Hollywood actresses or Victoria’s Secret model friends wearing underwear with my face on it is mind blowing. The idea that maybe she bought them all for herself so she can wear them every day is, frankly, creeping me out, but exciting nonetheless. Susan, I’m not revealing your full name here but if you ever happen to bump into this blog, we’d love to hear what you thought of our fine products. 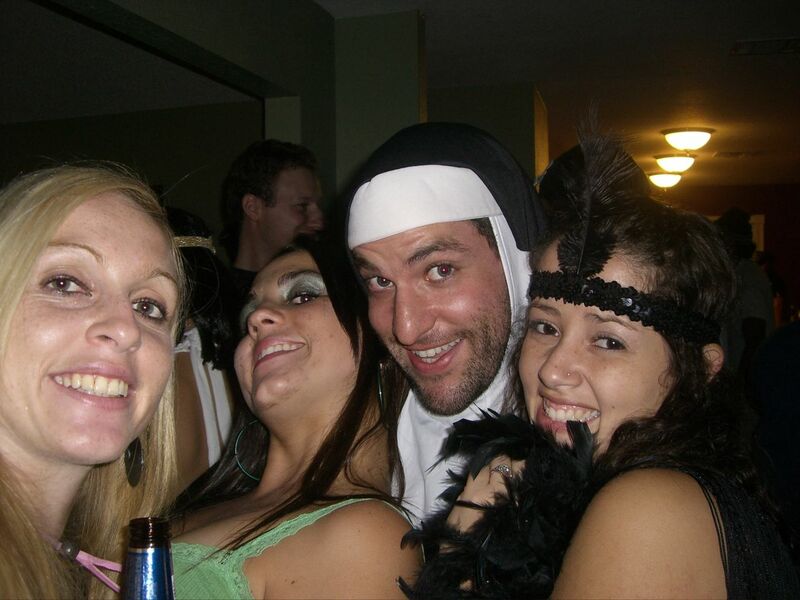 Incidentally, last Saturday the Ugly Nun herself re-emerged at a Brazilian party (proof). Note from the Editor: The staff of The MKX® is held to the highest journalistic standards. The information presented here is authentic and not a ploy to generate more sales. Diría que esto me sorprende, pero la realidad es que no. Nunca he tenido duda de que la Ugly Nun Thon sería algún día la prenda íntima más popular en los EEUU. Ahora que empiece a aparecer en algunas películas clasificación R seguramente aumentarán las ventas. ¿Oportunidad para sacar un sostén? Y yo que clamaba por retirar a la monja del mercado… he de aceptar que no alcancé a ver lo visionario que eras Kirsch. Esa tanga es la de Moi?